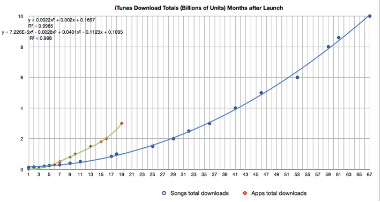 Apple just started its countdown clock to 10 billion song downloads. 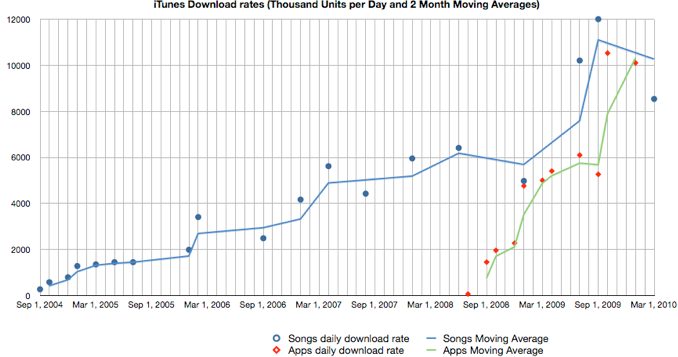 I combined the data available for iTunes downloads of Songs and Apps (from Wikipedia) in the graphs above. 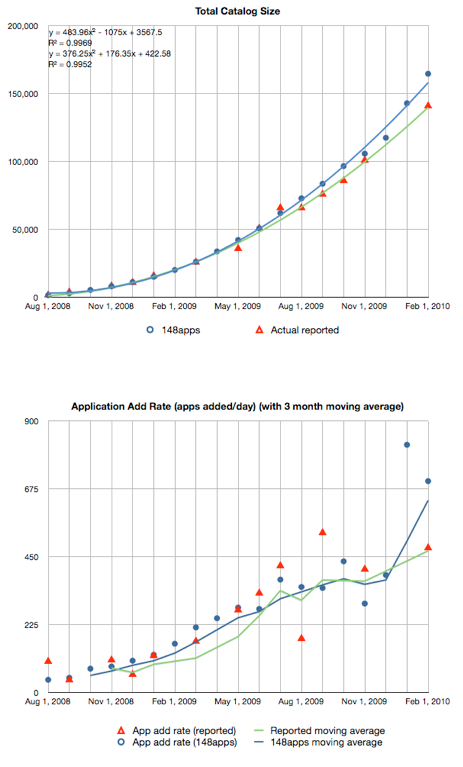 Obviously, the App download rate is increasing (i.e apps are accelerating more rapidly) than songs. 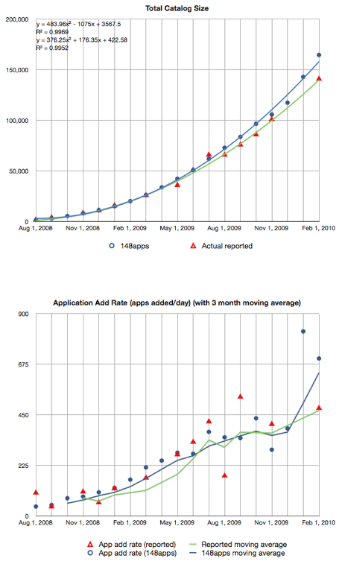 Both are averaging about 10 million units per day over the past 3 months. 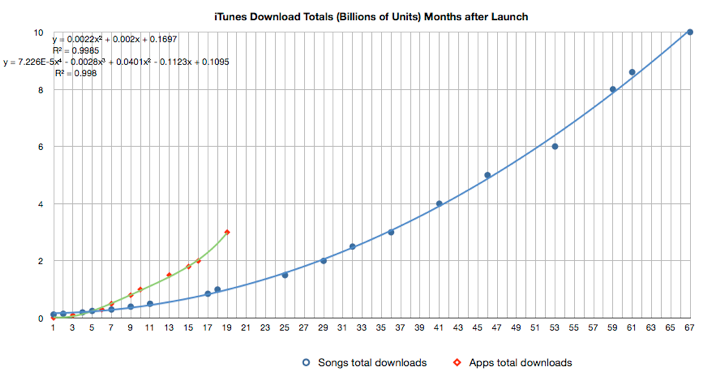 A Download Totals graph also shows the acceleration plainly with the App Store getting to 3 Billion downloads in 19 months vs. 36 months for Songs. 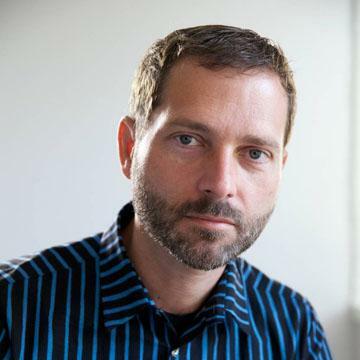 A curve-fitting analysis shows that the App store will reach 10 billion downloads 27 months after launch or around October 2010. 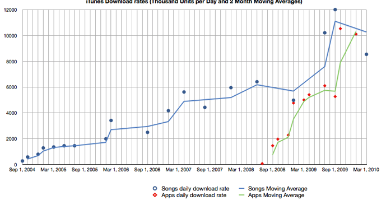 The same analysis shows that the App Store will overtake the Music Store in total units downloaded in December 2010 when they both reach around 13.5 billion downloads.